The Dorset Ginger Company is a family run business established in 1985 and operates from Lytchett Matravers, just outside of Poole in Dorset. 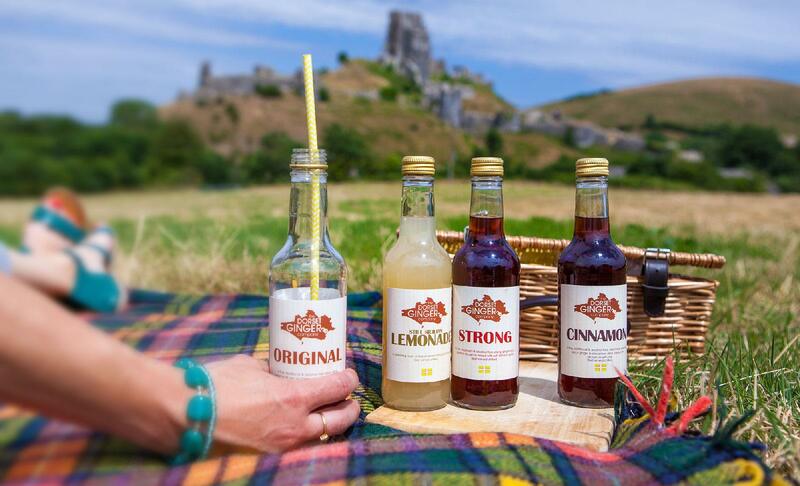 We produce award winning non alcoholic, non carbonated, hand blended ginger drinks and Sicilian lemonade. We gently pasteurise our bottles which gives them a long shelf life and eliminates the need for adding potassium sorbate. Our ginger drinks can be enjoyed on their own, used as mixers or they can be even used for cooking and baking! In 2017 we received SALSA certification and joined several local and national networks such as the Taste of The West, Dorset Food and Drink and Dorset Food Network. Our Dorset Ginger Original has won Silver, Dorset Ginger Strong and our Sicilian Lemonade both won Highly Commended at the Taste of the West Awards in 2018. Also in 2018 we made the final for the Dorset Magazine’s Food, Drink and Farming awards in the Best Drink Produce category, which was a public vote.